Want more room in your tiny house but do not want to add extra square footage? Seems impossible! Thankfully I know the perfect compromise that will allow you to have the perfect tiny house of your dreams and give you a little bit more space that is necessary for your comfort. Look no further than tiny house slide outs. Curious about what they are and want to find out if this addition could be right for you? What in the heck is a tiny house “slide out”? A tiny house slide out is roughly based off of the mechanics of an RV. Remember looking at an RV and noticing the two sides bulging out, yet on the road the pop-outs are gone. Thanks to mechanics, these extra side parts of the vehicle can be automatically controlled and with a push of a button, neatly slide back into the RV and return to a sleek profile, perfect for on the go travel. This technology has been brought to tiny living! Used interchangeably, slide outs or bump outs can add up to ten extra feet to a house (depending on the initial size of the tiny house) or can be as small as two feet long. In any case, the extra space can help add room to a seemingly cramp nook area or make a cramp bedroom a bit more spacious. Every square inch counts and slide outs can really do the trick to add some much needed living space for your tiny house. 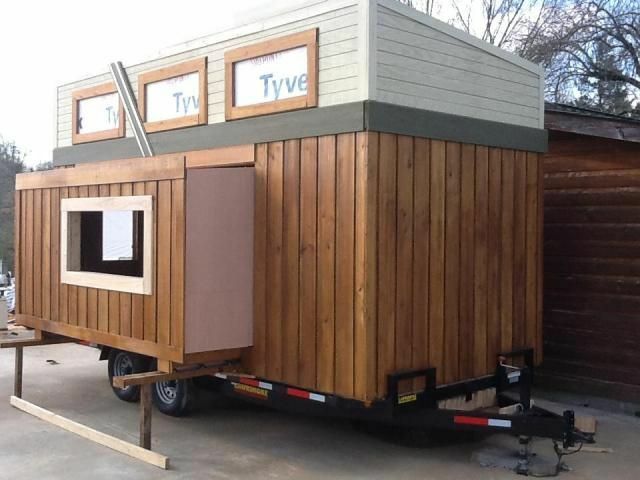 If your tiny house is on wheels and you have to take it on the road with you, press a button and the slide outs will neatly fold back into the house and it is ready once more for the road. Sounds neat right? Slide outs are a great option for people looking for a bit more space in their tiny houses or plan on traveling in their tiny house but want to still keep their house compact and small.